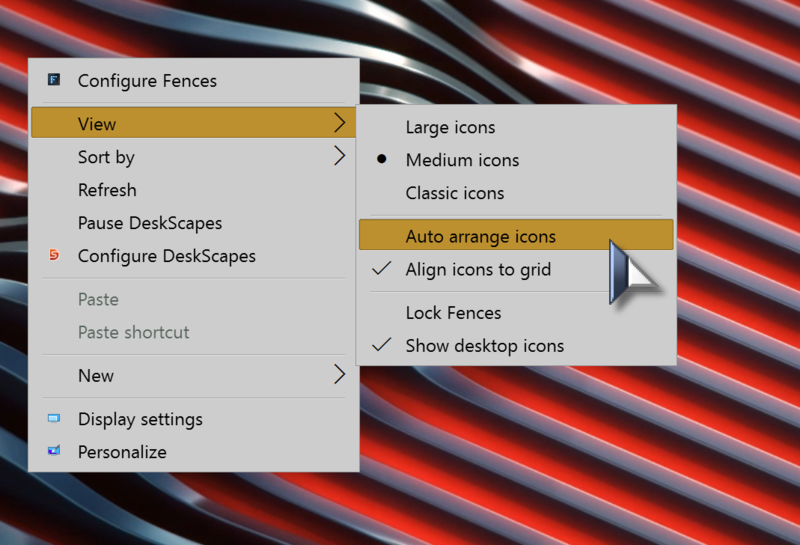 Is there any way that a non fenced icon (just out on the general desktop) like my trash, can be moved wherever I want it? I don't like that it snaps back to the top leftmost location...I'd prefer to put a few icons wherever I want to, like I used to be able to (pre-fence install). And continue... Fence is Greeeeat !! Right click on empty desktop. That was first thing I tried. It's turned off and Fences still shuffles my icons around as it pleases. How to fix this?!? Sorry, didn't notice the "Non fenced" part. How to stop this in the Fences?? ?